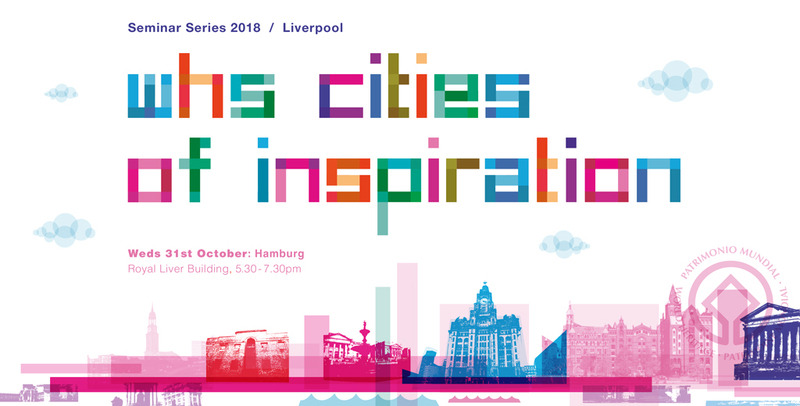 Part of WHS Cities of Inspiration Seminar Series 2018 which focuses on the WHS city of Hamburg. Speakers: BERND PAULOWITZ World Heritage Site Coordinator, Hamburg and CHRISTOPH SCHWARZKOPF Architect in Hamburg Urban Preservation Dept. Our UNESCO World Heritage Site was given a reprieve at the World Heritage Committee meeting in Bahrain and now Engage wants to explore how we can make the most of this exceptional listing as Liverpool Maritime Mercantile City – unique among all the port cities of the world and a precious gift for the whole of humanity. This 2018 seminar series brings 3 major European WHS cities who have been working with their UNESCO status to promote economic and social regeneration, improved design and planning, increased tourism, significant cultural engagement and local pride. Engage Liverpool CIC is a volunteer ran, not-for-profit organisation and our seminar series relies on the sponsorship and generosity of our participants. We are asking all attendees to pay a refundable £3.24 (Eventbrite will charge us 84p and PayPal a percentage meaning we hope we will receive about £2.50) to secure their place at the seminar, this will be refunded upon registration at the event if desired, but we sincerely hope that all attendees will use the opportunity to make an appropriate donation that will enable this series to continue this year and far into the future.